I love grocery shopping. Seriously, I do. And in my opinion, of all grocery stores, Hy-Vee is crème de la crème. But due to, I admit, my own ill planning and procrastination, I found myself picking up last-minute holiday groceries just two days before Christmas. Needless to say, my poor timing sucked the thrill out of the normally-pleasurable experience. 5) Express lanes accommodating those with only eight (8) items or less, $10.00 for every item exceeding the limit of 8. 6) Senior citizens get a 10% discount for shopping Monday through Friday between 9:00 a.m. and 5:00 p.m.
*Note: all fees are subject to doubling in the months of November and December. I might also note that though #6 doesn’t seem like a profit-booster, there’s no doubt there are indirect financial benefits. Happier customers, young and old, yield higher sales. It just makes sense. One of the best ideas provided was to use the above fee schedule as a fundraising mechanism. High school students police the stores, then the revenue is split between the students and the store. It’s a total win-win. Have I missed any? Comments/suggestions? Fees too high? Too low? Know any grocers? In this week's edition of Money Made Easy, Dan Danford answers this financial question from a viewer: What are some New Year's resolutions you think we should follow to help improve our finances? Danford, of Family Investment Center, offers his financial advice on how you can have a better financial situation in 2011. Families gather around a table to catch up on events of the day. Table Talk is Dan Danford’s way of keeping family and friends informed about Family Investment Center and related topics. Do you like to eat? Imagine a buffet where every customer is routed to a different line according to a pre-purchased ticket. Some customers enjoy traditional fare while others choose from the world's most delicious and exotic treats -- succulent lobster, prime angus beef, exotic side dishes, and luscious desserts. Now, for sake of illustration, assume all meal tickets cost the same amount. Also, to emphasize my coming point, imagine that each buyer chooses the preferred line in advance, and for two entire weeks. Last, there's no deviation from the ticket once bought; i.e., no outside food or drink for two entire weeks (you reach an irrevocable food decision at the time of purchase). Nearly everyone chooses the gourmet line, right? A seemingly simple decision. Of course, it can't be that simple because life isn't that simple. Instead, insert this bit of suspense into the process. A certain number of randomly selected diners will eat dog food. Not once or twice, but for the entire two weeks. And the odds differ depending on which ticket you choose -- one in ten traditional diners get Alpo, one in three gourmet diners. Over a year, there may be streaks of winners or losers, but the odds hold in the end. One in ten, or one in three. At mealtime, lucky diners from both lines enjoy tasty, rounded meals. They happily discuss their good fortune, although some traditional eaters are openly envious of the gourmet fare. Occasionally, someone complains a bit, wishing they'd been smart enough to choose a gourmet ticket. In a distant corner, randomly selected losers sit dejectedly munching dog biscuits. So, what's your choice? Traditional or gourmet meal ticket? Same cost, what's it going to be? Seriously, is it worth extra risk to order gourmet food? In my example, a gourmet ticket increases your downside risk by over three hundred percent (from one in ten to over three in ten). With these odds, I'm guessing that most rational people (hypothetical in my example) will choose the traditional ticket. So I am puzzled to watch people (non-hypothetical now) flock to high-risk, high-return market sectors. As we invest, we choose between options offering a variety of risk and return outcomes. Every decision faces an unknown outcome, although history provides some helpful hints about risk and reward. It is clear that some investment choices create greater opportunity to lose money. There are obvious streaks (we may have witnessed the longest winning investment streak ever), but, still, some investments offer a much higher potential for loss. One measure of investment risk is a factor called Beta. Don't worry about the math, here, but realize that a Beta Coefficient is calculated for most stocks and mutual funds (ask your advisor). A Beta of 1.00 (perfect correlation) means that the security (either stock or fund) has moved exactly with the market (an index) during some measurement period. The market index went up five percent, and the security followed by rising five percent, too. The same exact percentages when the market moved down. A high Beta (1.20) indicates that the security moved twenty percent more than the market -- both up and down. Lower Betas (.80) show the security moved less than the market (again, by twenty percent). Now, Beta isn't foolproof (nothing is), but a high Beta mutual fund has fluctuated much more during the measurement period than a low Beta fund. So, chances of a bad outcome are much higher because downward fluctuations are so repulsive to investors. Usually, lower Betas result in lower overall performance. But, it's because risks are probably lower, too (based on past history). Investors today don't seem to understand that a market (or stock, or fund) up hundreds of percent in twelve short months owns a very different risk profile from other options. It's not less risky because of recent performance, but almost certainly more so. If you doubt me, check the Beta for those highflying stocks or funds. It's okay to consider or even buy such investments, but you must know that your chances of sitting alone rise with this choice. Maybe rise a whole lot. Consider them for your $2,000 IRA contribution, perhaps, but not the entire kid's college fund. Okay, the dog food illustration is overly dramatic. But the point is to explain risk in an understandable way and to suggest that there are very different potential risks -- measurable risks --for the choices we consider. One thing stands true from the illustration, when we approach the market with $10,000, the entry price is the same for either choice. We can buy $10,000 of a conservative choice or $10,000 of a riskier choice. It's the outcome that might differ. Chances are good that we'll enjoy a favorable outcome with either choice. But, the chances of eating dog food are much higher with some choices than others. Risk and reward are absolutely related; the higher the potential gains, the higher the chance of losing money. It really is that simple. If you'd like professional evaluation of risk in your portfolio, give us a call. Our objective research compares thousands of stocks, bonds, and mutual funds. We can help! "The primary attraction of a Roth IRA is the absence of future income taxes. Account holders contribute after-tax money, which grows tax-free until withdrawal." Excerpt from Dan Danford MBA, CRSP of Family Investment Center’s article in Medical Economics Magazine. In this article titled Roth IRA Conversions, Opportunity or Trap, Dan discusses how changing a traditional IRA to a Roth is easier than ever, but may not be right for everyone. To read this article, click here. 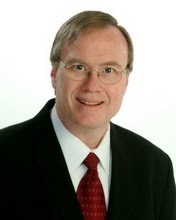 Dan Danford is a regular contributor to Dad's Divorce, a web site for men going through the divorce process. Most of his advice, though, is general enough that everyone can use, particularly this podcast on mortgage debt. In this week's edition of Money Made Easy, host Dan Danford answers this financial question from a viewer: Does it make sense to pay down my mortgage by making extra payments if I plan to sell the house in just a couple years with no intention of paying off a 30-year mortgage? Danford, MBA, CRSP of Family Investment Center, explains why he likes mortgage debt and gives additional financial advice. In this week's edition of Money Made Easy, host Dan Danford answers this financial question from a viewer: Do you have a model or plan I should follow when it comes to prioritizing debt? In general, what debts should I pay off first, such as mortgages, credit cards, car loans, etc.? Danford, MBA, CRSP of Family Investment Center, explains the "snowball model" and why paying off debt combines both financial and behavioral considerations. In this week's edition of Money Made Easy, host Dan Danford answers this financial question from a viewer: What's the biggest mistake individual investors make? Danford, MBA, CRSP of Family Investment Center, explains the keys to your personal financial success and what resources are available to help you get there. For many years Dan Danford, MBA, CRSP of Family Investment Center has shared investment advice in countless articles. Some of the articles that Danford has been featured in can be found in The Wall Street Journal, New York Times, Medical Economics, Yahoo Finance, and numerous other magazines and websites. Below are just a few links to some of the recent articles Danford has been featured in. In his article Roth IRA Conversions, Opportunity or Trap, Dan Danford discusses how changing a traditional IRA to a Roth is easier than ever, but it may not be right for everyone. Read the article. Dan Danford was featured in Sheyna Steiner’s article, Americans Not Confident about Getting Rich. In a recent survey, 70 percent said it’s harder to get rich in America today than it used to be. As Danford explains, the survey responses might have less to do with our ability to gain wealth and more to do with what we’ve experienced in the recent past. Read more. In Bankrate’s Sheyna Steiner’s “aking Financial Risks Without Regrets, she explores how buying a home, starting a business, and investing can result in big pay-offs, but explains their risks as well. When it comes to investing, it’s easy to get caught up in the ups and downs of the market. Danford gives input on how investors should keep inflation in mind rather focusing solely on market fluctuations. Read the article. In his article Quality Investment Help can be a Bargain, Dan Danford discusses how performance is one of many factors to consider when contemplating an investment strategy, how expertise is important especially during times of market turmoil, and how risk is a critical factor in an investment strategy and cannot be overlooked. Read the article. Featured in Mike Byrnes’ column covering seven things advisors need to know about social media, Dan Danford shares his thoughts on how social media helps establish brand credibility and how it connects advisors to traditional media. Read the article. In her article Marketing on a Shoestring, industry marketing guru Marie Swift talks about techniques advisors can use to stay connected to current and prospective clients. In discussing ways to use low cost multimedia technology, she cites Dan Danford who uses Twitter, video presentations, a blog and special features on his website. Read the article. For a longer list, click here.